Worcestershire County Museum is opening its doors at Hartlebury Castle in order to help children enjoy an early dose of Halloween fun this half term.From Tuesday 24th to Friday 27th October. Children can join in Halloween and Autumn themed craft activities including making boggart stick puppets, autumn leaf wreaths and mini witches and wizards. Activities vary daily but one autumn and one Halloween themed activity will be available each day. Throughout the week, Children can have fun carving their own Halloween pumpkin to take home, and follow a spooky trail around the Museum to discover over 1,000 years of history. Pippa Ashmore, Events Officer, said: "Our half term craft activities are a great way to spend the holidays. There are fun and creative activities for all to enjoy covering the themes of autumn and Halloween. This year will also see the return of our very popular pumpkin carving sessions. 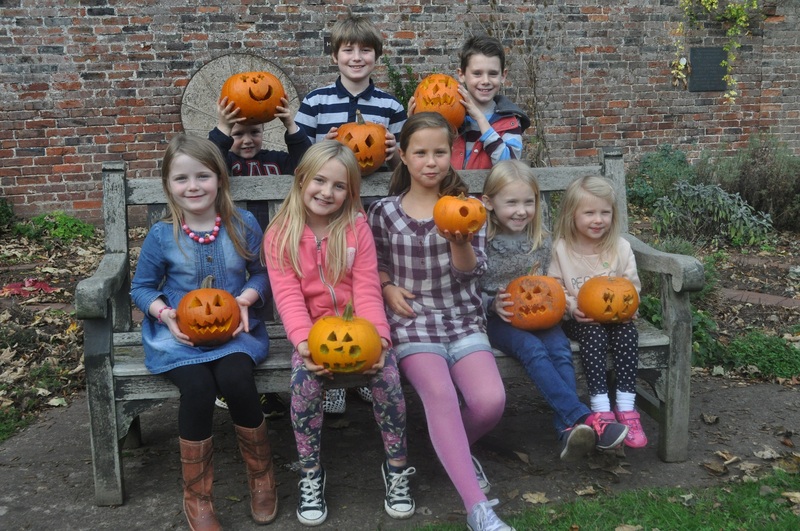 "Normal admission charges apply each day (£5 adults, £2.50 children & concessions, £13 family ticket) plus £2 per child for the days craft activities and trail, and £3 per person for pumpkin carving. Visitors should call 01299 250416 or visit www.museumsworcestershire.org.uk for more information.Complimenting the County Museum’s popular activities, there will also be two events hosted by Hartlebury Castle Preservation Trust. On Wednesday 25 October, 7-9pm children can have a go at stargazing with Bromsgrove Astronomical Society and create their very own pictures using torches and photography. On Saturday 28 October 11am – 4pm, families can drop in and take part in the Hartlebury Hackathon. The Hackathon will use exciting technology including 3D printing and vacuum moulding to explore the museum’s history. Entry and participation is free as part of Craft Council England’s Make Shift Do programme, however does not include access to the main museum.